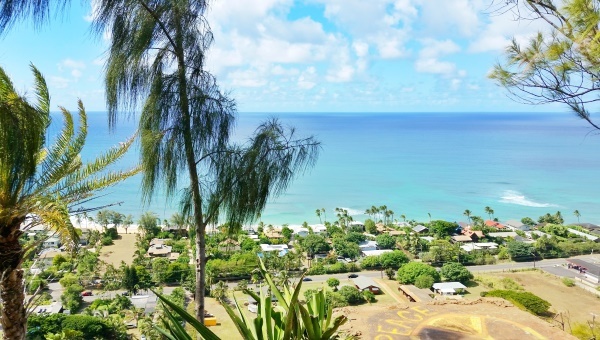 The Ehukai Pillbox Hike will give you stunning views of Sunset Beach and other parts of the North Shore! 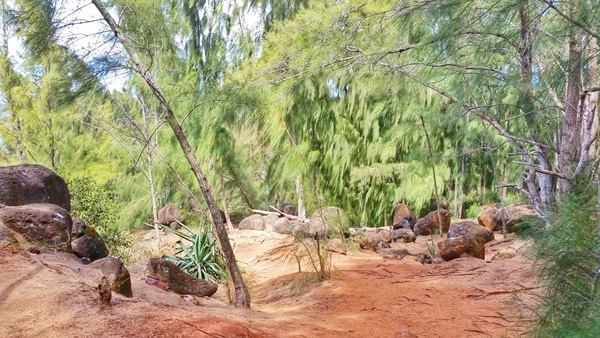 This hike is easy to add to your itinerary when you’re on the North Shore. This is because it’s located right off the main road and it won’t take up half a day to get to and complete. So you can add it to your list of things to do on the North Shore. It can also be a perfect activity before you go snorkeling at Shark’s Cove down the road. Shark’s Cove is one of the most popular spots for snorkeling on the North Shore in the summer. There are also food trucks located right near Shark’s Cove, and there’s also a grocery store (Foodland) nearby if you’re looking for cheaper food options. 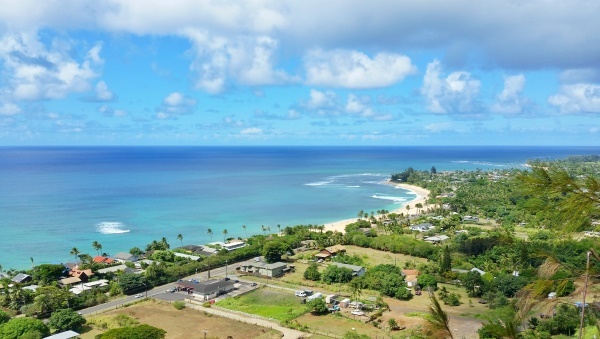 What’s the North Shore pillbox hike like? Because there are a few steep inclines, there are a few parts that may have you breathing hard. But otherwise, it’s generally not too strenuous. You can likely complete this hike in an hour, although this will depend on how long you stop at each of the overlooks. Make sure you pay attention to where you’re going and where you came from, because it can be easy to get turned around if you’re not careful. 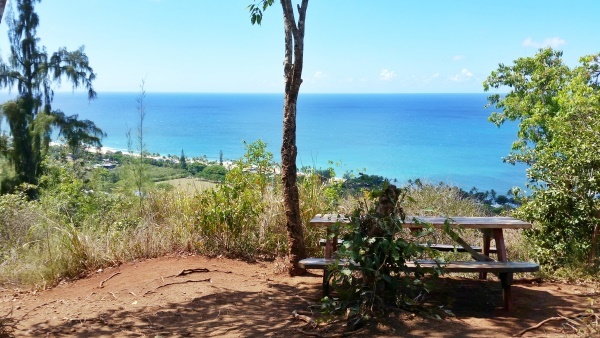 Some Yelp reviews for this hike report that you need to pass a “no trespassing sign” to get to the most famous pillbox on this trail. (The one with the peace sign on it.) So, as with all hikes on Oahu, hike at your own risk! A few other reviews report that they were unable to find the famous pillbox. They turned around not having found it. The basics of what to wear hiking in Hawaii can apply to this hike too. The most important part is to wear footwear that give a decent bit of traction. You can have a look at hiking sandals like these. And like all hikes on Oahu, it’s a good idea to bring along some water. This water bottle is popular in Hawaii, and this is a travel-friendly water bottle. And even though this is a relatively short hike, it’s always a good idea to bring along at least a small snack like an energy bar… just in case! The start of the trail is off to the left side. After you start walking for a bit, you’ll soon approach an area that’s a bit of an uphill. It may look like there’s a bit of a fork in which you can choose to go 2 ways. You’ll want to choose the right side. From there you keep going. You’ll soon start to see the ocean on your left side through the trees… and then out in the open! You’ll continue to follow the trail. It’s from here that it’s possible that it can get confusing. You might think you’re going the wrong way. There’s kind of an open area that goes downhill a little bit. And that’s the right direction. And then you’ll end up at the pillbox with the peace sign! You’ll also get great views of Sunset Beach! And then head on back the way you came! 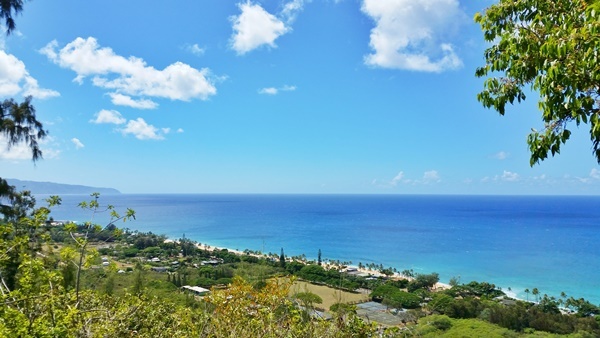 HAPPY NORTH SHORE PILLBOX HIKING!